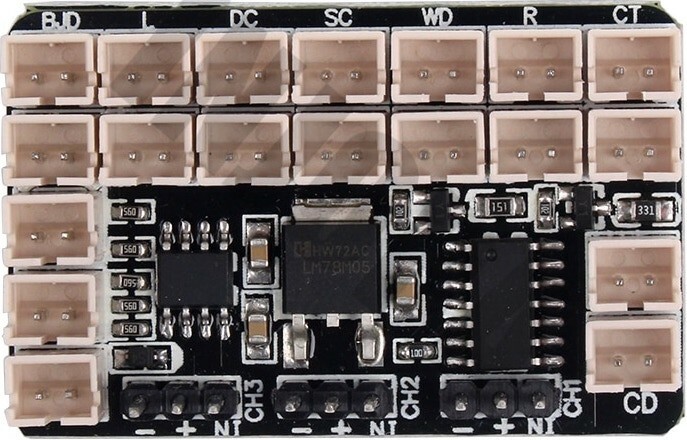 Looking for this #RCCar lighting controller. 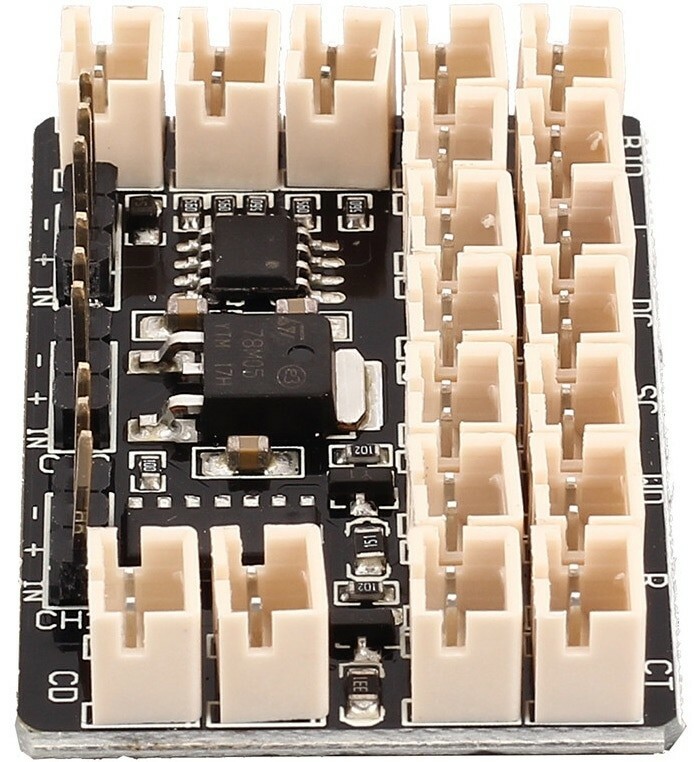 It takes three input channels from the receiver, has 19 JST output connectors to connect LEDs to. PCB looks like this and is usually in a black plastic case. I want just the controller alone or with a generic LED harness.